Formed Jun 1943 in Brest-Hourtin from 5./BFGr.196. Also known as Jagdkommando Brest. On 1 Feb 1944 redesignated 8./ZG1. Formed Jun 1943 in Berre. 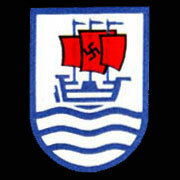 Ordered disbanded 26 Aug 1944. 5./B.F.Gr. 196, 1./S.A.Gr. 128 and 10./Z.G. 1 were three of the designations used by a small but successful Luftwaffe unit operating the FW 190 in 1943 and 1944. 5./B.F.Gr. 196 was formed in pre-war times, and primarily used the Ar 196 until March 1943, when it was recognised that a stronger German fighter presence was needed in the Brest area and over the Bay of Biscay. Thus, alongside the Ar 196s, the unit took on a handful of auxiliary tank-equipped FW 190 A-5s, which could be used for more aggressive patrols. Successes were initially limited, but after 5./B.F.Gr. 196 was re-designated 1./S.A.Gr. 128 in May 1943, scores mounted. In particular, the unit's leader - Heinz Wurm - did very well. Aside from patrolling the oceans around Brest, the unit was also occasionally employed against USAAF bombing raids, with mixed results. Some high-scoring days were had in July and August 1943, but then action again decreased as poor weather set in, and the British Coastal Command aircraft began to avoid the Brest peninsula and the operating radius of the Focke-Wulf 190s. In early February 1944, 1./S.A.Gr. 128 became 10./Z.G. 1. Within a month 10./Z.G. 1 had left Brest and found itself fighting French partisans. In the aftermath of the Allied invasion of France on 6 June 1944, 10./Z.G. 1 was attached to Geschwader Bongart [see my other article]. 5./196 was formed in July 1937 from 1./Kü.Fl.Gr. 406, and was initially equipped with He 60s. The first Ar 196s were received in mid-1939. The unit was based at Kiel-Holtenau until the invasion of Denmark, and on 11 April 1940, 5./196 moved to the newly occupied base at Aalborg-See. Two months were spent there, before a three day deployment at Grossenbrode, east of Kiel. The unit then transferred to Trondheim-Hommelvik via Aalborg-See, arriving in Norway on 23 June 1940. 5./B.F.Gr. 196 stayed at Trondheim-Hommelvik until 3 September 1940, when it returned to Kiel-Holtenau. A move west was imminent, and during September the air crews, ground personnel, equipment and Ar 196s all moved to Cherbourg. In April 1941, 5./B.F.Gr. 196 moved to Brest-Süd, where it would remain for two years, under the command of the Fliegerführer Atlantik. 5./B.F.Gr. 196's code was 6W + _N, and this was passed on to 1./S.A.Gr. 128 in mid-1943. The Staffelkapitän was Oblt. Heinz Wurm, who claimed a number of aerial victories in his Ar 196 in late 1942. 5./196 received its first FW 190s during March 1943, but the intention was not to fully re-equip the unit with single-engined fighters. The FW 190s were to be used as long-range fighters - in accordance with Kessler's wishes - while the Ar 196s would remain on strength to continue their old duties. In early March 1943, a pair of FW 190 A-5s came direct from the factory, while some earlier variants arrived at the unit from repair facilities. Conversion was completed during April, and the obsolete early FW 190 models were passed to other units. The FW 190 A-5s operated by 5./B.F.Gr. 196 were equipped with a pair of 300-litre drop tanks under each wing, giving them increased range, enough to cover the area south-west of Cornwall and the Scilly Islands. The range of the FW 190s was quite good, but the British soon learnt to avoid the FW 190s by flying outside their radius of action. At 14:34 Oblt. Wurm claimed his first victory for 1943, and his last in the Ar 196, when he shared a Boston with a German anti-aircraft unit in the Morlaix area. Heinz Wurm's victim was probably Boston AL278 of 226 Sqdn. 8./J.G. 2 was also involved in this air battle, claiming three Spitfires destroyed for one FW 190 A-4 shot down. This was Ramrod 50 carried out by the RAF's 10 Group. It involved six squadrons of Spitfires covering twelve Bostons attacking the viaduct at Morlaix. 310 Sqdn claimed 2-1-2 FW 190s, and lost two pilots killed. A Boston was reported to have been shot down by FW 190s. 5./B.F.Gr. 196 was re-designated 1./S.A.Gr. 128 in May 1943. 1./S.A.Gr. 128 took on 17 Ar 196s and six FW 190s, and a couple of Bü 133s were also used. 1./S.A.Gr. 128 was based at Brest-Süd throughout its existence, but had detachments at Bayonne. In eight months of operations, the unit lost no Ar 196s, but five FW 190s were lost to enemy action, and eight to other causes. Karl Dönitz - commander of the Kriegsmarine - ordered his U-Boats out of the North Atlantic patrol areas, confirming a major Allied victory. U-Boats were now to return to base, or to concentrate in more southerly areas away from prowling Allied aircraft. Towards evening Oblt. Wurm downed a Liberator at 20:54 in the area of Pl.Qu. 15 West S/9076, to the north of the Brest peninsula. His victim was probably BZ713 of 224 Sqdn. Ofw. Vincenz Giessuebel of 14./K.G. 40 made a claim for a Liberator 120 km north-west of Brest, and this was possibly related to Oblt. Wurm's victory. An FW 190 A-5 of 1./S.A.Gr. 128 was badly shot up in combat, and landed at Brest airfield. It is likely that 1./S.A.Gr. 128 had taken part in a combat alongside 8./J.G. 2 to the south of the Scilly Islands. Lt. Förster of 8./J.G. 2 claimed a Mustang I at 20:35 some 30 km south of the Scilly Islands at low-altitude (about 190 km N.W. of Brest). This was 1./S.A.Gr. 128's most successful day, as the FW 190 pilots shot down five Allied four-engined aircraft, claimed as Liberators. These were actually British Lancasters returning to England from a raid on Turin in Italy. The FW 190s of 1./S.A.Gr. 128 and 8./J.G. 2 scrambled from their bases near Brest in the early hours of daylight on 13 July, and a few minutes before 06:30 they came across the bombers. Oblt. Wurm made the first claim at 06:27, in the area of Pl.Qu. 14 West N/8944. Three minutes later, 8./J.G. 2's Ofw. Friedrich May achieved his 26th victory, a Lancaster. Oblt. Wurm then downed another of the British bombers at 06:35. A minute later, Uffz. Schüler and Gefr. Hess from 8./J.G. 2 got the fourth and fifth bombers at low-altitude. At 06:40, Ofw. Hans Gryz and Ofw. Friedrich Jost achieved their first victories, as they shot down bombers from 700 m and 1,000 m respectively. Heinz Wurm was the last claimant, getting his third for the morning at 06:43. A total of eight bombers were claimed, in what was a highly successful action that demonstrated how effective 1./S.A.Gr. 128 could be. Ofw. Hans Gryz claimed a Liberator in the late afternoon (20:36) in the area of Pl.Qu. 15 West S/7044. The big four-engined aircraft was shot down into the sea from a height of ten metres. Ofw. Gryz's victim was probably FL965 of 224 Sqdn. Uffz. Friedhelm Dorf's aircraft suffered engine failure during a non-combat flight, and he died in the subsequent crash at Brest-Süd airfield. F/Sgt. Erasmus returned to base alone, and belly-landed at Portreath. The three other 266 Sqdn pilots met up, closed formation, and headed for home at low-altitude. When they were 32 to 48 km from the French coast they spotted aircraft approaching from the rear. The three aircraft turned to engage, but in doing so F/O. F.B. Biddulph stalled and crashed into the sea in Typhoon Mk.Ib R8767. F/Lt. J.D. 'Barney' Wright in JP511 and P/O. J. 'Tusky' Haworth in DN442 then fought with the enemy aircraft, and became separated. F/Lt. Wright damaged one enemy fighter. P/O. Haworth's two starboard cannon had jammed, and two FW 190s continually attacked him. He was hit in the tail by a 20 mm shell, but eventually managed to escape the Germans and return home. Ofw. Gryz and Ofw. Sievert had been two of 1./S.A.Gr. 128's older pilots, both being born in 1916. During the mid-afternoon 1./S.A.Gr. 128 encountered Beaufighters about 120 km west of Brest, and quickly downed four of them. Oblt. Heinz Wurm got a pair of victories at 14:56 and 15:08, and Ofw. Friedrich Jost accounted for the other two Beaufighters at 14:56 and 14:57. The unit's victims may have all come from 143 Sqdn (JL880, JL942, JM159, JL886). In the afternoon, 295 American bombers of VIII Bomber Command attacked Nantes, La Pallice, La Rochelle and Cognac, and J.G. 2, Jagdgruppe Ost, II./Z.G. 1, and 1./S.A.Gr. 128 were all scrambled to intercept. Unfortunately, this was to be a tragic day for 1./S.A.Gr. 128. During combat with the bombers near Brest, Oblt. Wurm was shot down and killed by B-17 gunners in his FW 190 A-5 W.Nr 410 218. During his time in command of 5./B.F.Gr. 196 and 1./S.A.Gr. 128, Heinz Wurm had led from the front, accounting for over half of his unit's aerial victories. In this particular combat, eleven American four-engined bombers and a Spitfire were claimed destroyed between 15:47 and 19:13 by German fighters, but 1./S.A.Gr. 128 was unable to avenge its leader's death. At 14:10 eight Spitfires of 341 (Free French) Sqdn took off from Perranporth. After crossing the Channel at low-altitude, at 14:55 S/Chef Pierre Gallay saw four aircraft at four o'clock at sea level, flying west-north-west. The Commanding Officer, Capt. L. Christian Martell, flying Spitfire Vb AA846, was told about the aircraft, and the formation turned to investigate, quickly identifying the enemy as four FW 190s. One of the FW 190s broke and climbed, and was followed by Capt. Martell and S/Chef Gallay. Capt. Martell fired a short burst and hit the FW 190 in the fuselage, but it then disappeared in clouds. Martell claimed his victories in co-ordinates 49-04N, 06-35W. Capt. Jacques Soufflet fired several bursts at another of the FW 190s, but did not see any damage caused. After diving back to low-altitude, Capt. Martell fired at a second FW 190, which flew away trailing smoke. The squadron then reformed and was heading home when S/Lt R. Borne in Spitfire Vb AB241 spotted an FW 190 and chased it. He opened fire, and during several bursts saw parts of the tail unit come off at 15:00 in co-ordinates 49-04N, 06-35W. He then chased the FW 190 for four minutes, but had to turn for home due to lack of fuel. This FW 190 was damaged, and was smoking badly, and Borne claimed it as probably destroyed. The Squadron landed at 16:00. S/Chef Fry had been fired at by one of the FW 190s, but had not been hit. Lt. Herbert Jarmer was shot down and killed by friendly anti-aircraft fire eight kilometres north of Cap du Raz, and was 10./Z.G. 1's first loss. It was impossible for 5./196, 1./S.A.Gr. 128 and 10./Z.G. 1 to change the course of the war in the Bay of Biscay with just a handful of FW 190s and Ar 196s. Allied technical developments, new aircraft types, and weight of numbers, meant that the FW 190s could only cause some disruption to Allied successes. On some notable occasions, the long-range FW 190s were very successful, but these pin-pricks were not enough to save Dönitz's U-Boat force from near-annihilation between May and December 1943. In early 1944, 10./Z.G. 1 gave up the patrols over the Bay, and found itself engaged in another demanding role - fighting partisans in southern France. This was a difficult and somewhat distasteful role, but the FW 190 was a good fighter-bomber, and could be successful against the French Resistance. Soon after the Allied invasion of Normandy, 10./Z.G. 1 joined Geschwader Bongart, and some bitter months of fighting followed [see my other article]. This is a very useful source, extensively researched, and, in the words of Nigel Moore, is 'critical to a full understanding of German operations over the Bay of Biscay'. The section relevant to 5./B.F.Gr. 196, 1./S.A.Gr. 128 and 10./Z.G. 1 runs from page 194 to page 201. There are a number of very useful maps, and many footnotes with references to primary sources in the BA-MA and NA. Rosch, B.C. Luftwaffe Codes, Markings & Units 1939 - 1945, Schiffer Publishing, Atglen, 1995, ISBN 0-88740-796-X. Rosch's book is a fantastic resource for those interested in the histories of the smaller and lesser-known Luftwaffe units. Rosch provides details like formation and disbandment dates, Feldpostnummern, types of aircraft operated, codes, along with photos and profiles throughout. The sections on 5./B.F.Gr. 196 and 1./S.A.Gr. 128 are useful, and there are a number of photographs of aircraft operated by 5./B.F.Gr. 196 (unfortunately there are no shots of FW 190s).